Known to some as ‘the world’s most perfectly cut diamond,’ the diamonds that adorn the wedding bands and fine jewelry handcrafted by Hearts on Fire are renowned as being some of the most immaculately-sculpted jewels available today. When Hearts on Fire was established in 1996, founders Susan and Glenn Rothman quickly became well-known for their unique Hearts on Fire Round and Hearts on Fire Dream cut diamonds that, respectively, boast 58 and 70 shimmering diamond facets. Today, Hearts on Fire has continued to grow and evolve with contemporary bridal and fashion jewelry aesthetics, remaining one of the most coveted designers of wedding bands, engagement rings, as well as fine jewelry including, earrings, bracelets, necklaces, and fashion rings. Additionally, as an authorized retailer, the staff found in Corinne Jewelers’ Toms River showroom is pleased to bring to their beloved New Jersey customers, an immense inventory of pieces that encapsulate the unsurpassed sparkle and brilliance that has come to be synonymous with the name Hearts on Fire. Why Buy Hearts on Fire Jewelry from Corinne Jewelers? For over fifty years, Corinne Jewelers has been the destination in the Ocean and Monmouth County areas for finding 100% genuine, wedding bands, engagement rings, timepieces, loose diamonds, and fine jewelry, all offered at reasonable and sensible prices. Located in Toms River, New Jersey, the family-owned and operated Corinne Jewelers prides itself in offering superior customer service and an unmatched, ever-expanding inventor of luxury-grade jewelry from some of today’s most innovative bridal and fashion jewelry designers, that CrownRing, Madison L., Simon G., Michele Watches, and many others. Additionally, as a part of their commitment to the Toms River community, Corinne Jewelers is proud to be an active supporter of charitable organizations as the United Way of Ocean County, the Toms River Community Medical Center, and the American Cancer Society, just to name a few. Further, in order to guarantee a lifetime of satisfaction in all items, Corinne Jewelers offers a lifetime craftsmanship guarantee, a 30-day return or exchange policy, as well as complimentary sizing, cleaning, polishing, and appraisals on the life of all pieces purchased. 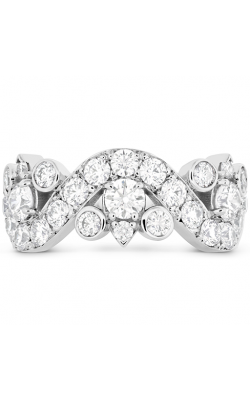 As an authorized dealer of Hearts on Fire, Corinne Jewelers is proud to offer collections that include some of the most stunning wedding bands, fashion rings, earrings, bracelets, necklaces, that the designers at Hearts on Fire have to offer. For brides and grooms-to-be alike, Hearts on Fire extends a variety of weddings bands and engagement rings, as well as an array of models of Hearts on Fire brand, fashion rings, earrings, bracelets, and necklaces, from collections such as, the unique Intermingle, elegant Lorelei, glamorous Copley, and Charmed pendant necklace collections. All available today at Corinne Jewelers!